Native screen recording is one of the new features of Android 4.4. Google finally decided to give its users the ability to capture a video of the contents of their screens. This is very useful in various situations, such as presenting a new feature or simply demonstration some instructions. Unfortunately, the ADB command to do this is not the most convenient solution, as screen recording is limited to 30 seconds only. 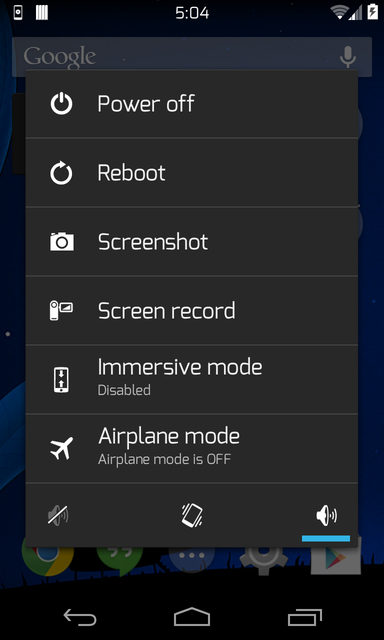 Luckily, this amazing feature can be added to almost every source-built ROM, thanks to XDA Senior Member 0xD34D, who decided to share his commits from ChameleonOS. We won’t lie to you; it’s not easy-peasy. You need to know how to build a ROM and use GitHub, as those commits need to be cherry-picked from the original repo. But it’s really worth it to try to build your own ROM, especially when there are plenty of good guides for using GitHub and ROM building. When the feature is added, it can be triggered by pressing volume up and power button. If you are interested in adding this feature to your personal ROM project or simply wish to add it to one of the more popular ROMs, make your way to the original thread and learn more.